Land Academy Member Kahlil Turner. Jack and Jill Interview another successful member. Jack Butala: Welcome to our show today. 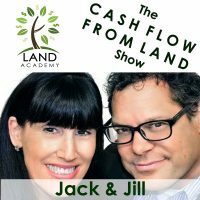 In this episode, Jill and I talk with Land Investors member Kahlil Turner. Before we get into it, though, let’s first take a question, posted by one of our members, on LandInvestors.com online community. It’s free. Jack Butala: Yay. Who needs drama? Jack Butala: Who the heck needs drama anyway? If you want drama, go to the movies. Jill DeWit: Anytime I buy or sell, I include the following language. Jack Butala: We have some smart members. Jack Butala: I like it. Jack Butala: Nice work, Rob. Jack Butala: Some people are natural-born lawyers. Jill DeWit: Yeah. They just know how to present something. Jack Butala: Man, we have some smart members, don’t we? Jack Butala: Yeah, you don’t want to horse around with the real estate commission. Me, as a seller, would think that’s cool. Jill DeWit: So. And, me as a seller, I might be inclined to trust you even more because I know you’re regulated. I know you know the laws. You know, and all of that, so I like that. Jill DeWit: It could be totally a positive thing. 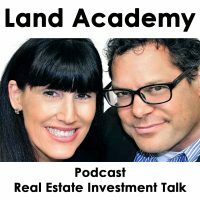 Jack Butala: So, did you know, incidentally, this is some fun trivia about real estate agents. In the ’50s, you would go in- did you ever buy a fishing license? You would go to Walmart and just say, “I’d like to buy a fishing license” and you put your $22 or something? Jill DeWit: Not myself, but I’ve been [inaudible 00:03:38] with my dad and stuff years ago, yeah. Jill DeWit: Hi, here, it’s good for two days. Jack Butala: Here’s your license. So, unfortunately, a few people wrecked it for the rest of us. Jack Butala: So now you got to go to class. Jill DeWit: Put in all this 80 hours or 90 hours or whatever it is, yeah. Today’s topic we talk with Land Academy member Kakil Turner. This is a new to this show. Welcome, Kahil. You’re obviously having some success, or maybe some drama and trauma. [crosstalk 00:04:24] regardless. We’d love to hear about it today. How ya doing? Kahlil Turner: Doing well, doing well. Hey, it’s Kahlil. Kahlil. Kahlil Turner: Kahlil. Sorry. It’s a weird name. Jill DeWit: He’ll never get it. Kahlil Turner: Kahuna, and, yeah, so. Jack Butala: Kahlil it is. Jill DeWit: He’s call you that county forever. No, no, that’s true. Jack Butala: That’s kind of true. Kahlil Turner: In high school, I started to go by Joe just to kind of cut some of my teachers off. Just because Joseph’s my middle name. And one of my friends I’ve known all my life, he still calls me Ka-Joe every now and then, it’s Joe. Anyway, all right. So go ahead. Jack Butala: We’ll get into your background in a few minutes, but I’d love to hear about some of the deals that you’re doing right now. Kahlil Turner: So, recently, a certain large state in the pretty low-priced area where most of the district area, you can get low-cost land. I picked out a bunch of 40s, 20s, and fives. Kahlil Turner: Actually, in the last two months, I’ve bought just as much land as I bought all of last year. Kahlil Turner: So I’m not sure that’s a good thing or bad thing with the county that I bought it in, but I’ve been selling land. I found this particular area, people tend to want larger tracts versus some other areas. So those sell a lot faster than the fives I’ve had. But, yeah, I’ve got one in title closing right now. I’ve got another guy that’s going out to see it. A fossil hunter that’s going out to see one [crosstalk 00:06:57] deal, and that’s a easy double right there. And then I did two term sheets earlier in the month. So it’s shaping up to be one of my better months. So, all the inventory I had in Arizona and New Mexico, I blew through all that, so. Kahlil Turner: I’ll [inaudible 00:07:23] so. I just put out some new mailers, and I’m experimenting with higher dollar valuations. A lot of [inaudible 00:07:33] county. Mainly with, you know, higher, 500, 600 dollar. I mean, the average price is around $2,500. So anyway, I’m trying one of those kind of counties as an experiment. Actually two of them this week. But it’s a smaller county so there’s not as much data. Not as much subjects to mail to. So we’ll see how that shapes up. Jack Butala: Well, nice, it’s working for you. Jack Butala: What’s the big picture thought here, like did you find us through a competitor or not a competitor, but somebody else who does this? Kahlil Turner: So I started out investing in mortgage notes, and I really liked mortgage notes. I’m sorry to say, but that is the ultimate passive income. There’s an ultimate passive income podcast, but that is the ultimate passive. You just do your due diligence up front, and you get a check for 15, 20, 30 years until it’s paid off. It’s beautiful. But I ran out of capital pretty quick doing that. Jack Butala: Yeah, that’s the issue. You have to have financial backing. Kahlil Turner: Yeah, they’re really expensive to buy. And so I was like, “How can I do this?” So I found this other program, I found it first. Wish I would have found yours first. And so I pulled the trigger on it and did the whole course. And there’s a boot camp. And I went for that. And it felt like a big [inaudible 00:09:10] but it was helpful. It was very helpful. It got me to where I needed to be, but it was lots of information, and I got stuck with the county thing. And look at me. And I worked like 50 or 60 hours a week, sometimes longer. I had a really demanding day job. And I just don’t have time to fart around with these counties and all the data and all the games they play. Just all garbled up and different formats. Kahlil Turner: And then trying to get it out of them and playing games with them. No, we don’t have this or go to this department or, just- I didn’t have time for that, so I got frustrated with that. And then thought, “You know, there’s gotta be a better way.” I started searching around and I came across you guys, and my wife didn’t want me to buy another program because I just spent a good bit of money crying to the boot camp. And [inaudible 00:09:59] anyway. It worked out. It worked out. So. Jill DeWit: I like the way you spoke, Kahlil. That’s how I see it too. And, like, whatever it was, I think you always get something out of everybody’s thing. And if even it did anything but teach you that that doesn’t feel right. This is not the right path for me. Because maybe it’s great for some other people. That’s okay. It got you where you needed to go. You didn’t stop, and so that’s awesome. Jack Butala: Right. Yep, yep. So what’s next? What are you gonna conquer next? Kahlil Turner: So I just want to build a portfolio of terms deals. But to kind of balance it out, I’m starting to learn, you know, maybe I shouldn’t be doing this super low down payment deal. Maybe I should get a little bit more in a down payment, but then that kind of limits your buyer pool. So it’s a balancing act. I’m just trying to balance that a little more, and I think what Luke does, he kind of invites them to, you know, what kind of down payment can you offer? And I’ve been taking that approach a little more, because maybe I can get a little bit higher down payment that way instead of suggesting something really low. So I’d like to build a bigger term portfolio, but I also like the cash deals, too. Those are nice because you need those, too. But I just kinda got a little bulletin board in my little office. And it’s got the typical $2,000 a month goal, and I got that. And every time I get a new deal, I change my income and kinda tick it up. Jack Butala: What are the numbers up there right now? Jill DeWit: That’s great. I want to hear about that. But, hey, with some of the things I have in the pipe right now, I could be at two by next month, next problem. But, anyway, things are going a lot faster. The pace is a lot faster now. I feel like I’m doing more deals faster, and that has to do with some tweaks that I’ve made with, I guess, buying property. I just bought a whole lot more in one chunk recently, and then also started using Land And Farm. And, man, I was just using LandWatch and Craigslist, Zillow, and little bit of YouTube. 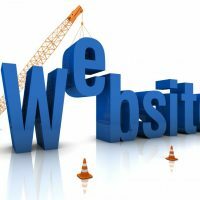 And my website. And I tried Backpage. But I just don’t have time to mess with Craigslist a whole lot, so I been really relying on LandWatch and Land And Farm mostly. But Land And Farm has been driving a lot of leads, man. Kahlil Turner: Really, really has a whole lot more. And I started using [lanpen 00:12:55], also, recently. I got a few postings there, but I’ve hired a VA. I’m gonna start using them to start posting all my stuff so I can kind of free myself up. Because time is the biggest problem. Jack Butala: Yeah, I understand completely. We’ve got some products coming out that are really gonna help you out. Jill DeWit: I’m working on that, too. Jack Butala: Our Parcel Fact product will entirely, you know, stop. Kahlil Turner: I’m really looking forward to the Parcel Fact thing. Really, that sounds awesome. Really look forward to that. In fact, maybe toward the end of it, I can ask you a question or two about that. But, yeah, that’s kind of what my focus is right now. And [inaudible 00:13:37] so. Jack Butala: You can ask questions about Parcel Fact right now. Kahlil Turner: Okay [crosstalk 00:13:42]. Jack Butala: Everybody’s probably got the same questions. Very close to them. Kahlil Turner: Well, I used one of your little levels programs you had, Parlay. Which is if you go beyond the silver program, you can get access to Parlay. But it seems like Parcel Fact will replace Parlay. Jack Butala: Yeah, in fact, that’s been updated. You’re right. Kahlil Turner: So, will the Parcel Fact be sort of like Deed Perfect where it’s included in the sewer program, or is that a subscription service where you got some sort of additional monthly charge each month, or how is that gonna pan out for the Parcel Fact? Jack Butala: It’s both. The answer is both. So it all depends on what the type of user is that you are. So if you’re pulling just a ton of data, it will make sense for you to do it at a subscription level that’s higher than where you’re at now. But, if you just use it for a certain number, 30, 40 a month or something? It makes much more financial sense just to get it that way, so. Jack Butala: It’s just going to help everyone at the level where they are. And then at some point it just makes more sense to go down a subscription basis. Kahlil Turner: Yeah, yeah. I need time-savers, and I’m one to pay for time-savers. So my time is- there’s only so much of it, so. Jill DeWit: I’m working on Jill Live as fast as I can, Kahlil. Jill DeWit: Yeah, because I’m working on the phones and the posting stuff. Because I don’t know if you saw that survey I did a couple weeks ago. Everybody said the same thing. I need help with communication, I need help with the postings, like ,are the biggest things that take a lot of your time. Jack Butala: Everybody has a bottleneck, you know. My bottleneck, historically, has been- until we figured Parcel Fact out- engineering. You know, posting property, getting good maps and making it look good. So I’ve been lucky because Jill and her staff have been answering our phones for quite some time, but I understand how hard that is on your own. Kahlil Turner: Yeah, my wife’s been helping me out a good bit. So we have a deal, a partnership LLC, and she does basically every step. I have not personally purchased a single property. She has bought [crosstalk 00:15:51]. Kahlil Turner: She’s bought every single parcel because her name was on all the deeds, you know. She takes care of all that stuff. Affidavits and the deeds, getting that notarized for me. So that’s been a big help. Jack Butala: Good for her. Jill DeWit: So you kind of make her phone ring? Jill DeWit: Seriously, you kind of hand her these, like, no, no, it’s good, like you queue up the deals. That’s kind of our arrangement, you know, that’s way back when, it was the half joking half serious. Jack would, you know, nobody does data like he does, man, and he’d get those offers out there and make my phone ring and then I would close all the deals. So. Kahlil Turner: That’s awesome. Well, she’s actually a lot better at negotiating, too, so I’d like to eventually get her to negotiate some stuff. Because I’m not quite as, you know … oh, this price? Oh, yeah, sure, okay. Kahlil Turner: She’s a little better, and I shouldn’t say that because my job is negotiating. It’s part of my job. So it’s kind of a stupid thing to say, but anyway. Jill DeWit: That’s great. There were a couple times where we accidentally were involved in the same- this was a long time ago, years ago, where I had negotiated a deal, and then Jack got involved and undid what I did. And I’m like, “Doggonit, I had a better deal and you just gave something else away.” So it was really kind of funny, so I had to take the phone away from him, basically. Jack Butala: You know, [crosstalk 00:17:20] and doggonit is not what you said back then. Jill DeWit: Yeah, there was one deal in particular that I was really not happy. Jack Butala: I know. I can recite the deal, the numbers, the people involved, all of that. I remember that really clearly. That was a push point, the pushover point for us. Jack Butala: Oh, I wasn’t nice about it at all. I said thank gosh, man. Somebody else is gonna do the stuff I don’t want to do. Jack Butala: So I can do data. Jill DeWit: Yeah, I feel it. So [crosstalk 00:17:54] – Yeah, go ahead. Kahlil Turner: Oh, yeah, go ahead. I was gonna say, I just wanted to say that you guys, man, it’s like light years. The other place that I tried before I came to you, I just want to- this is my thank you. I mean, you guys just really continue to do stuff that genuinely helps people out. You’re looking to help people out. You’re- anyway, there’s so many things that you’ve done to fill little problem issues, and I really appreciate all the work you’ve done, and you just- I don’t know. Thank you guys. You’re not trying to just … money-grubbers, or just someone looking out to terminates your passive income stream. You really are just helping people out, so I appreciate you. Jack Butala: Man, thank you. You know, we inadvertently- and we didn’t intend to do this, but when we started this whole thing, we found out pretty quick that there was an untapped, un-served market. Of just telling the truth. It’s as simple as that. That’s all we do here. Tell the truth and make stuff affordable. So why that’s so hard for everyone else to do in this space, I’m not sure, but we’re enjoying a big portion of it right now. Jill DeWit: I look at it this way. I just think you’d get it, Kahlil, is that the direction that we’ve gone, I don’t think we have any competitors. We’re just off doing our own thing over here. Kahlil Turner: No, it’s just not even close. It’s really not even close, like, what one competitor is always trying to do is figure out ways to take your money. And then you guys come in with value-added stuff that really improves your situation. You’re always coming up with new tools. There’s just no comparison in my opinion. Jill DeWit: You know, I give Jack a lot of credit, because Jack set out to create almost like our own club. Our own group, our own investors that we can all do some big deals and do some great stuff together. Jill DeWit: And you did it, Jack, and that’s what we’re all doing. And, like, Kahlil, you’re a perfect example. I mean, you’re here with us. We’re all getting better and more efficient, and doing bigger deals and better deals, and making more money, and it’s easier, and that’s the way it should be. Jack Butala: Yeah. So I’m gonna ask you some questions about buying notes. Because I love notes. I mean, obviously please don’t answer anything that you think is sensitive, but where were you finding these notes? Is it easy to buy them? You know, [crosstalk 00:20:42] what do you like? Kahlil Turner: With Caesar, actually, it’s really not that easy to find them. So you go on Bigger Pockets or other place. You look for note brokers and there’s just some shady characters out there. And also you gotta be a credited investor for some other places. Which I’m not really at that level. But maybe I will be soon, but not really there yet. But I hooked up with this guy that I found through various channels and podcasts and he was a note broker, but really seemed like a really upstanding, honest guy. and he introduced me to the Dallas market. and everything he does is personal. It’s residential. It’s single family home, that stuff. He’s hooked with fix and flip investors that offer owner financing, and they just want to cash out so they can move onto their next deal. And that’s really his entire portfolio, that’s what they are. But these are mostly, like, undocumented workers and et cetera that can’t qualify for financing but been living in the States for five, ten years, have a steady job, they’re contributing to society. And they’re just solid. They’re solid rights. And, you know, eight points, nine points kind of stuff. And mostly 15-year notes. And so I got a couple of those notes from him, and still look at the notes he has and hopefully buy some more in the future. But I just found this one guy, and I felt comfortable. There are some other places, but this guy does it right. He sells you the whole package. You get the servicing on the back end. On that note, I have not done the servicing probably right on my end. I’ve been kinda doing my servicing [crosstalk 00:22:52] it’s kind of stupid the way I did it. But anyway. But yeah, it all comes together and it was really seamless and easy, so I’m sure not everybody is like that, but, no, it’s all single family mortgage notes. Jack Butala: So you found a little niche there. That’s great, man. There’s a lot of that going on in Arizona, too. Same thing. Jill DeWit: I have a question. Jill DeWit: What are some things, any hurdles that you had, anything you could say to save somebody who’s thinking about this? Anything you wish you’d known? Kahlil Turner: You guys have crossed just about all the issues. Jill DeWit: Well, let me ask you this. When you found us, did you find us online? Was it a word of mouth thing? Kahlil Turner: Yeah, I did, I did. I found you online. Kahlil Turner: So I Googled first, just trying to figure out alternative methods to find prospects to buy land. Kahlil Turner: Really, you guys have the- it’s the solution. That’s the way you guys do it, that’s the way to do it. To find your sellers, you know, that’s the way to do it. Back Tax List, just using that, I agree with you, Jill. You just inherit problems, most of that. 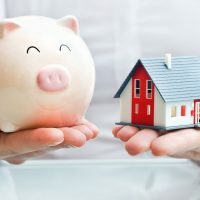 I bought a few Back Tax properties, but for the most part, there are a lot of problems. And then a lot of times, also, they’re less desirable properties. [crosstalk 00:24:33] I have a mountain or something, I mean, it’s not really usable. Jill DeWit: Thank you. Did we sing to you right away, or do you know what I mean? You’re like, oh my gosh, these guys make so much sense? Or was it like, all right, this is a little too good to be true. I need to do some more research. Kahlil Turner: No, right away. So we actually were going on- I escape from Mardi Gras every year. [inaudible 00:25:04] in this area, and I’m not a fan of Mardi Gras. So we took a trip to Mardi Gras last year. Away from Mardi Gras to another area, and on the way there, I brought a little DVD player, and I played the whole thing. By the time I came back I was done, and I rock and rolled when I got back home. Kahlil Turner: From the drive, so. Jill DeWit: So we were with you on your vacation? Jill DeWit: Did your wife say, “Turn that off, please, this is like family time”? Kahlil Turner: No, it was just while we were traveling, you know. My kids were in the back seat. They were coloring or whatever, and I was- she was driving, and I listened to the whole thing, or watched the whole thing, you know. Jill DeWit: That’s cool. That’s really good. Jack Butala: I’ve wrecked vacations like that, too. Jill DeWit: Yeah. [crosstalk 00:25:45] Jack and Jill. Oh, gosh. You know what’s so funny? I mean, I haven’t looked at that in a while. I need to go back and look at that. Kahlil Turner: I love some of the jokes that Jack makes about, you know, why are you wearing a different shirt and all that. So, yeah, it’s funny. Kahlil Turner: But it’s good. The program was great, and I’ve gone back and referred to it and watched a couple of clips a few times when I needed to, you know? So, it’s good. Jack Butala: I try to make it a little bit humorous, because investing in land and talking about investing in land on a daily show, that’ll kill you eventually. You gotta have some fun. Kahlil Turner: You guys are entertaining. You guys are entertaining, so. Jack Butala: Kahlil Turner, thank you so much for joining us. I’m really happy for your success and I can’t wait to see where it takes you. Kahlil Turner: Yeah, thank you guys for everything again. I appreciate you. Jill DeWit: Thank you, Kahlil. Jack Butala: We’ll see you on the Thursday call. Jack Butala: To do just about anything you want. Jack Butala: You are not alone in your real estate ambition. Man, he’s smart, isn’t he? Jill DeWit: Yeah, that was really cool talking to him. Jack Butala: Really, you know, it’s amazing how appreciative our members are, you know. Jack Butala: The nice stuff that they have to say. I mean, he was a heart-felt thank you from him. And you can tell he’s the kind of person that he approaches things like it’s a schematic. Like an engineer does. So I’m proud of him.